Guild Park and Gardens covers 88 acres of unique forest, shoreline and open parkland located atop the Scarborough Bluffs at 201 Guildwood Pkwy., Toronto. The property is former home of the popular Guild Inn, a private hotel, liscenced restaurant and arts/cultural centre owned and operated for more than 50 years by the late Rosa and Spencer Clark. As art patrons, they used the site to launch a legacy of supporting hundreds of Canadian artists and craftspeople with the Guild of All Arts. In doing so, the couple created a popular public destination and a place visited by world leaders, prime ministers and performers including Glenn Gould, Sir Ernest MacMillan and so the story goes even Bob Hope. The Guild Inn as it became known expanded from the original country estate, built in 1917, to a facility able to accommodate growing numbers of guests (local residents and out-of-town visitors), special events (from weddings to arts festivals) and corporate activities (such as education classes and professional conferences). Guests ranged from Canada’s Prime Minister Lester Pearson and the Netherlands’ Queen Juliana; to musicians Sir Ernest MacMillan and Glenn Gould and performers Sir Lawrence Olivier and Lorne Greene. After many successful year's of operation the Clark's sold the property in 1978 to the Province of Ontario and today it is jointly managed by the City of Toronto and Toronto Region Conservation Association. The park includes a unique collection of outdoor sculptures and architectural fragments preserved from more than 50 downtown Toronto buildings that were demolished in the 20th Century. The site remains a popular site for wedding and commercial photography, television and video production and outdoor community activities. "To walk through the Clark collection [of architecture] at The Guild is somewhat like walking through history. When we see the pillars of the Bankers Bond Building, for instance, we can visualize the magnificent classical structure they supported." Since Pierre Berton wrote those words more than 30 years ago, time was unkind to this historic property. The hotel and restaurant operations closed in 2001 and in 2009 the hotel tower portion of the Guild Inn was demolished. Left to years of "demolition by neglect" the buildings were condemned and the park grounds began to fall to ruin. The good news is that after decades of disrepair, the historic Toronto landmark is undergoing a transformation. The combined efforts of community groups, City Officials and Staff are breathing new life into the century-old property once used as an inn and artists’ colony. Dynamic Hospitality and Entertainment Group have restored the old Bickford house — a manor built in 1914 that would later become the sprawling Guild Inn complex — and built a new restaurant and a special-event venue catering to weddings and corporate functions, community events and charitable fundraisers. The City has plans well underway to develop what was once known as Building 191 into a premiere arts and culture centre justly named The Clark Centre for the Arts. 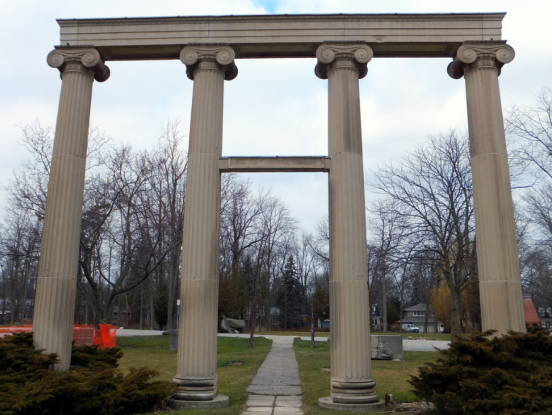 The volunteers of Friends of Guild Park & Gardens, Guild Festival Theatre, GVCA and Guild Renaissance Group continue to bring activity to and raise awareness about this important Canadian landmark. Our walking tours take place several times a month from May to October and our members organize events and advocate year round for the preservation of the natural and artistic legacy of the park. 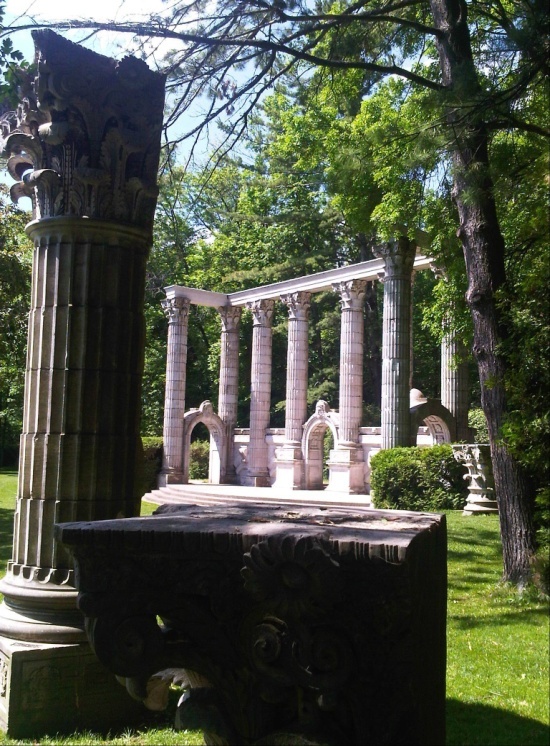 Join us by becoming a member and supporting the ongoing work to revitalize Guild Park.